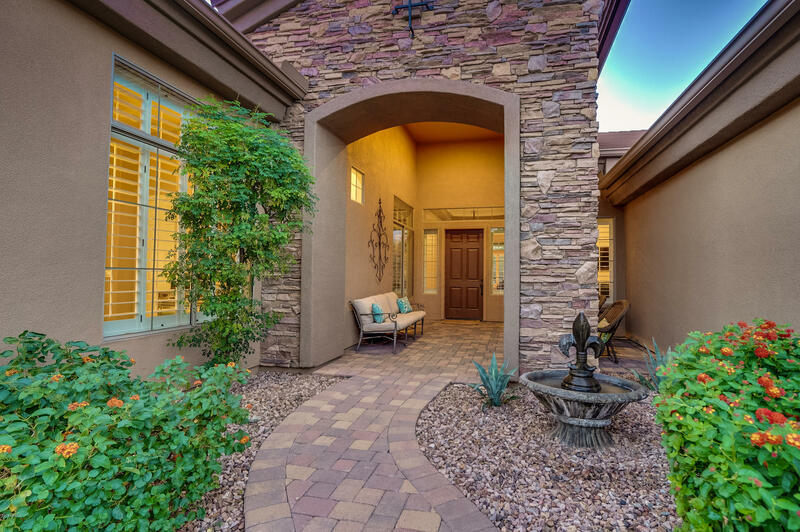 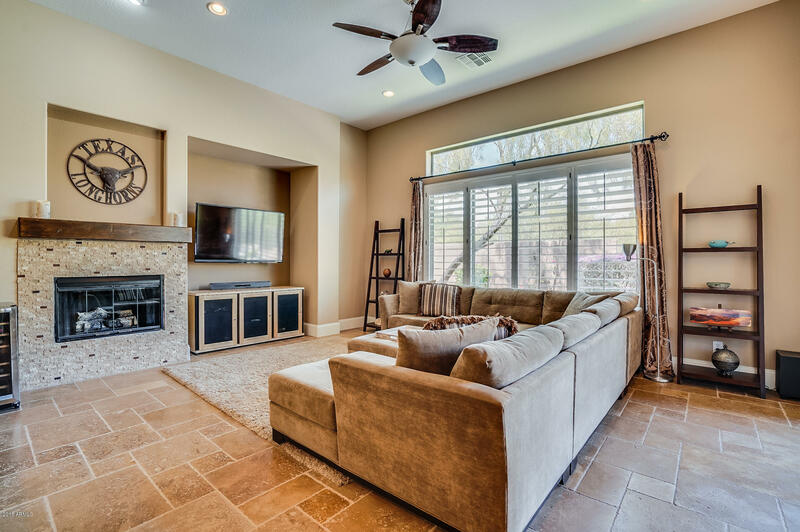 This stunning Rochester model is an entertainer's delight. 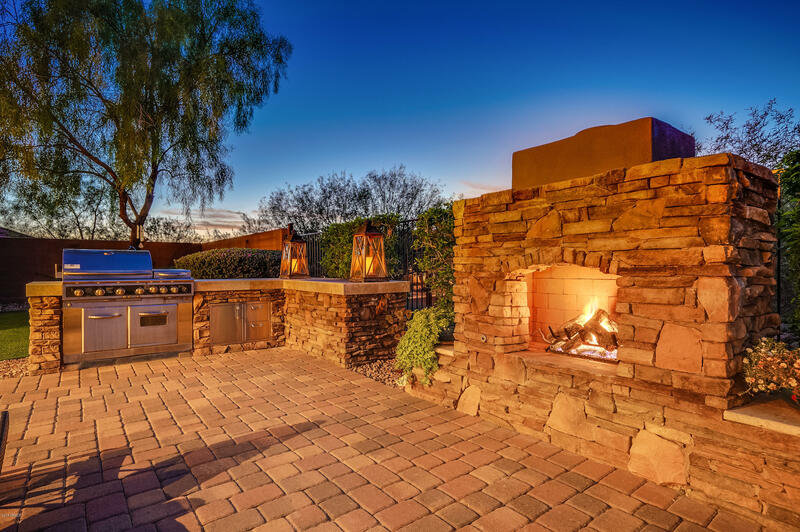 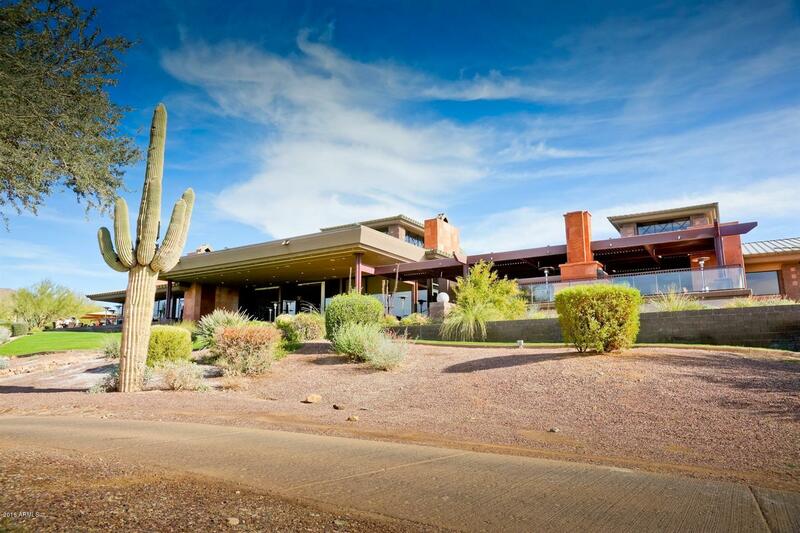 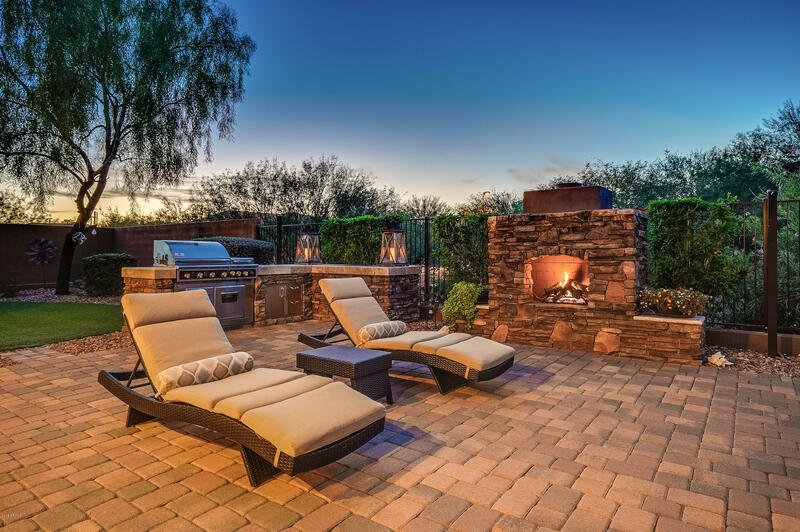 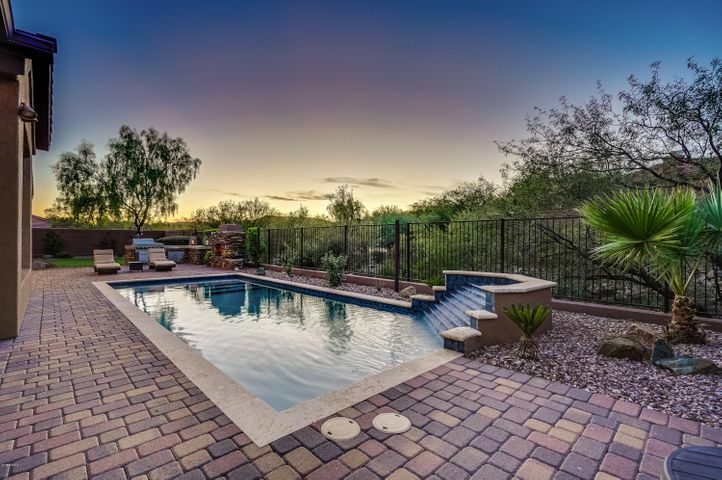 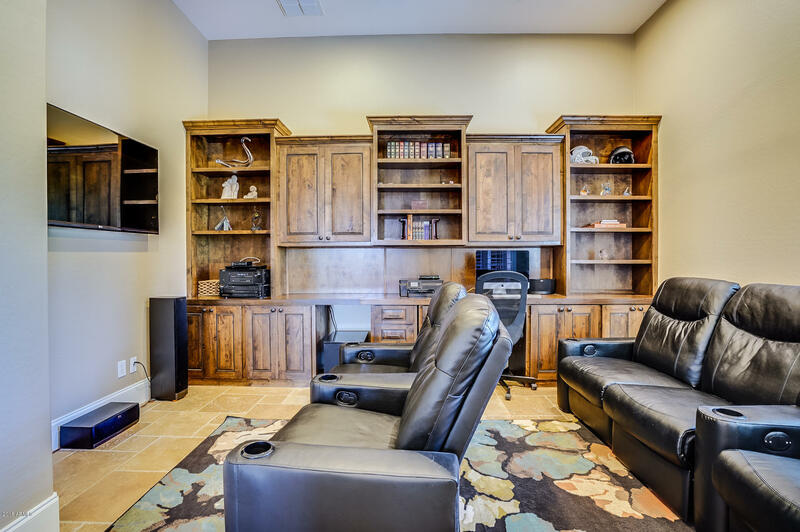 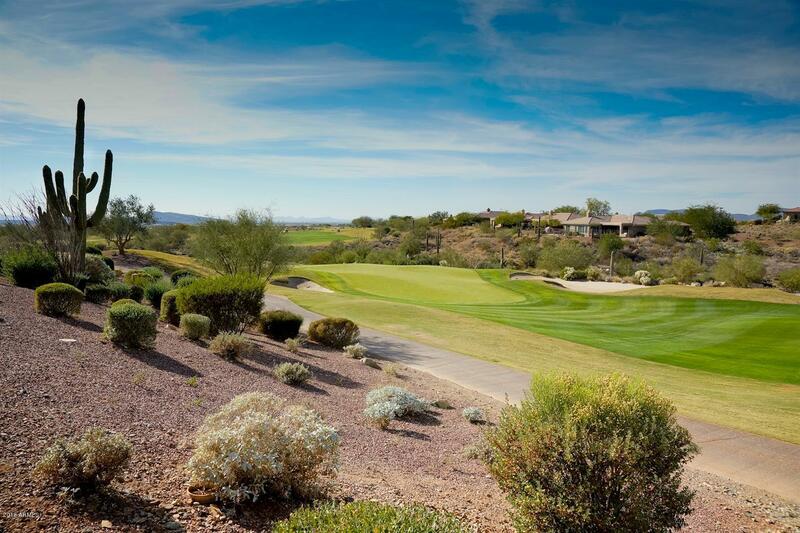 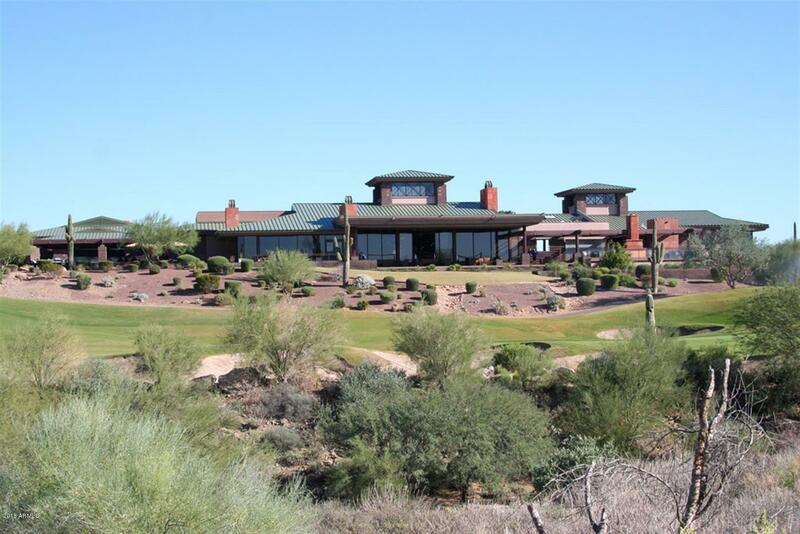 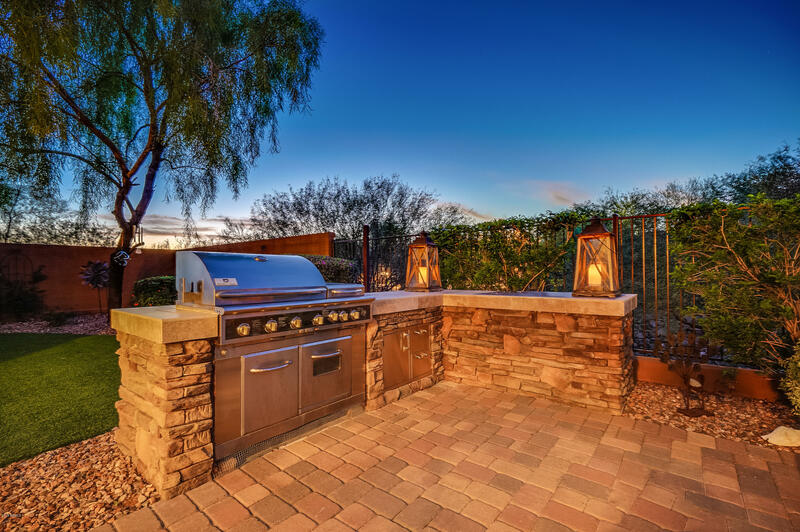 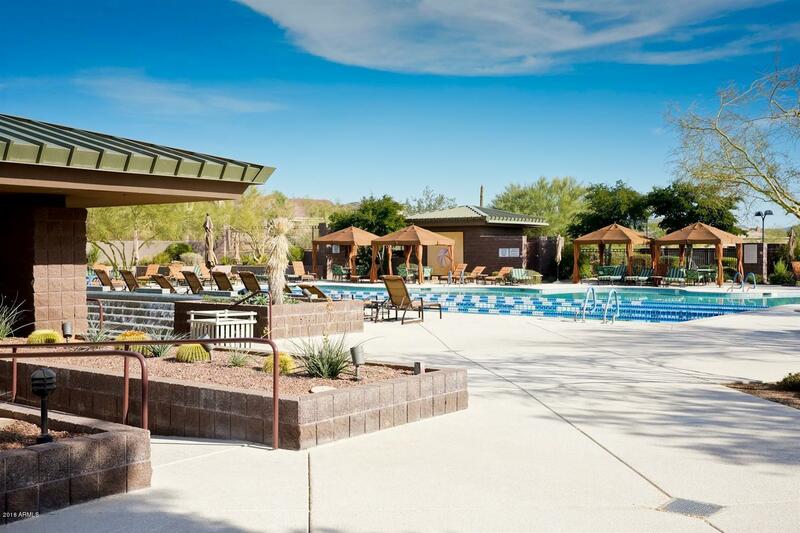 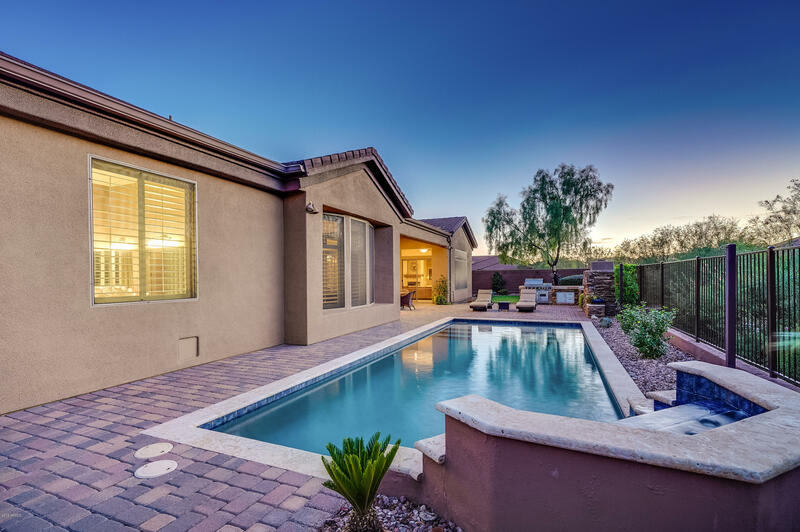 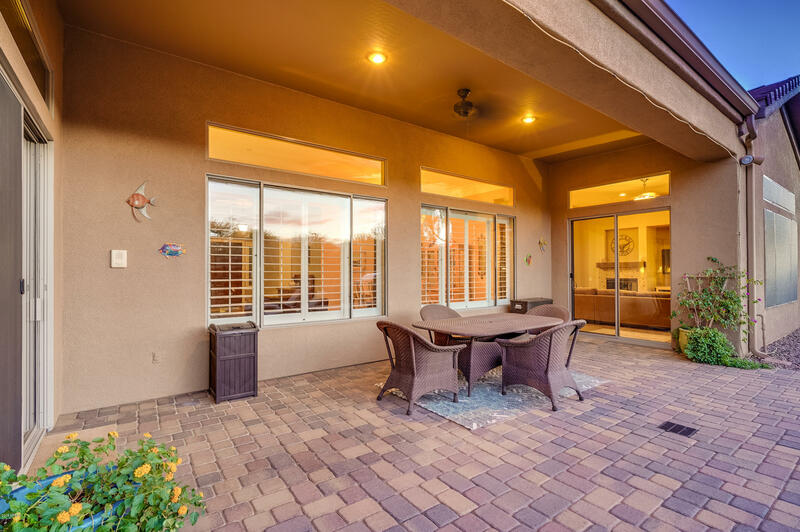 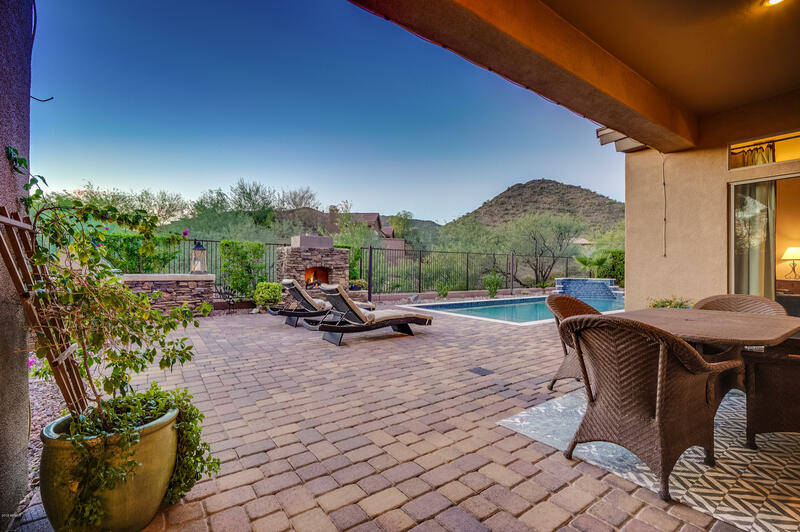 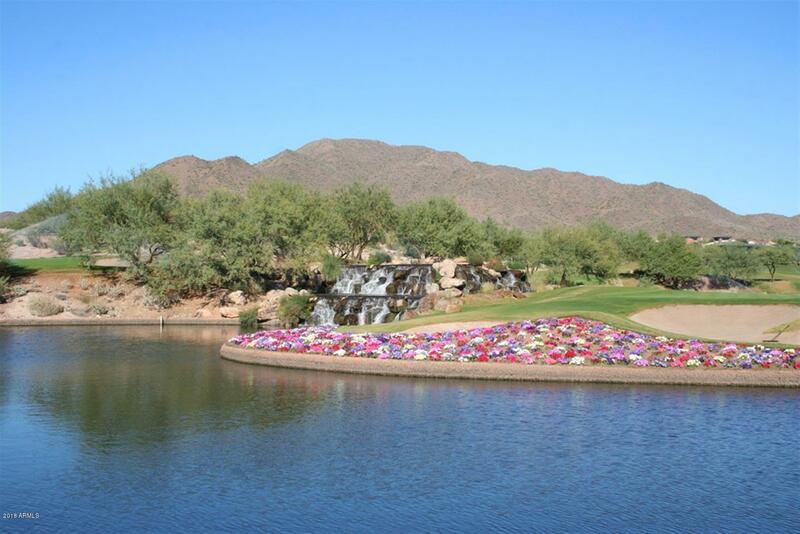 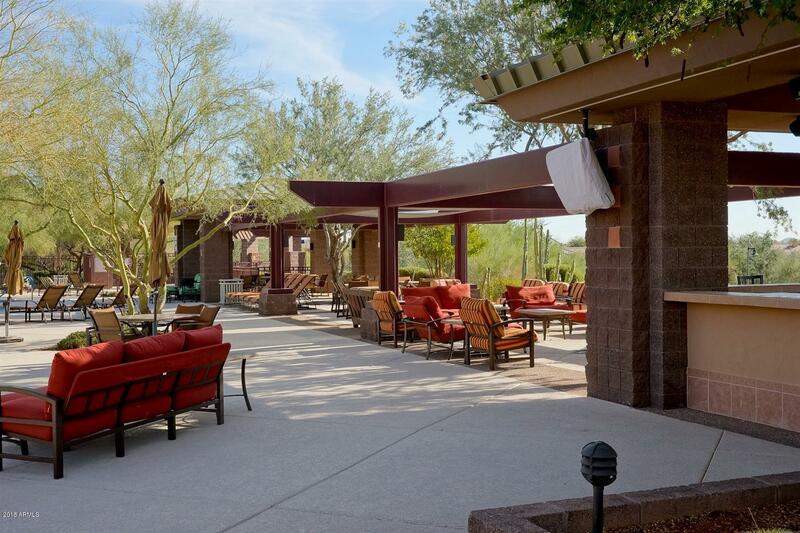 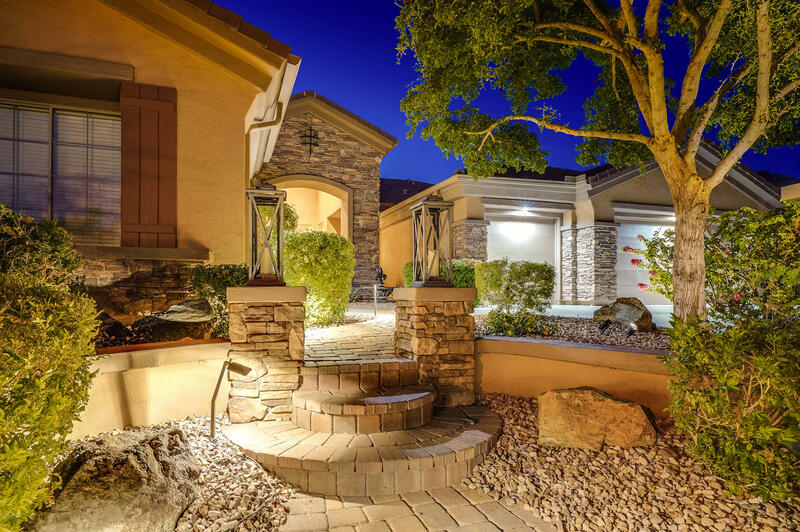 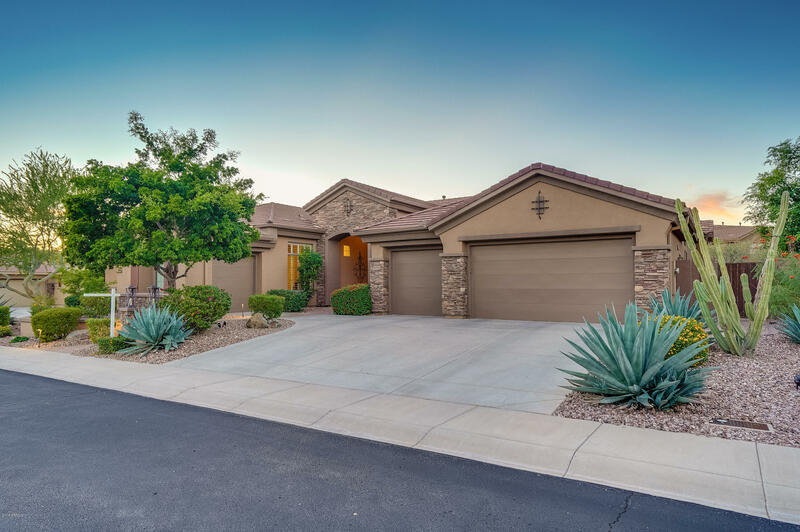 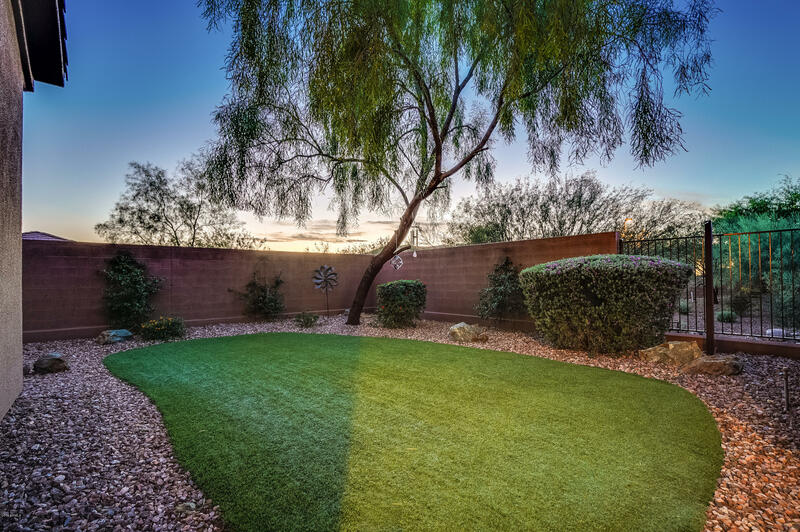 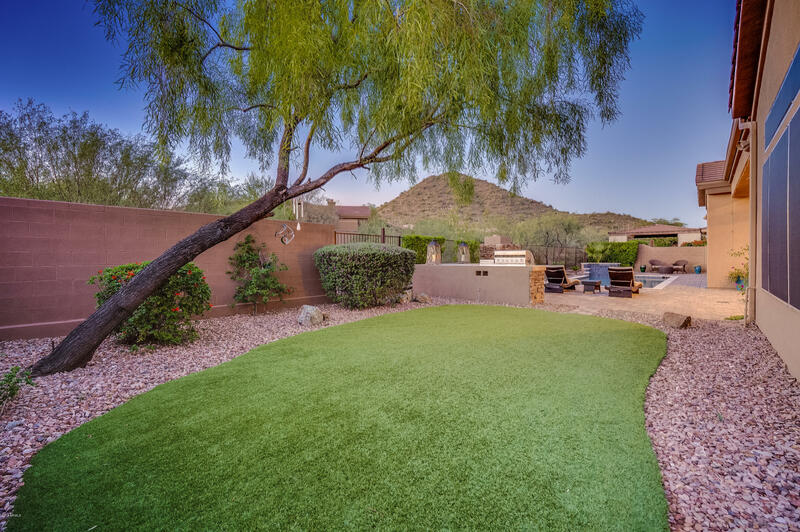 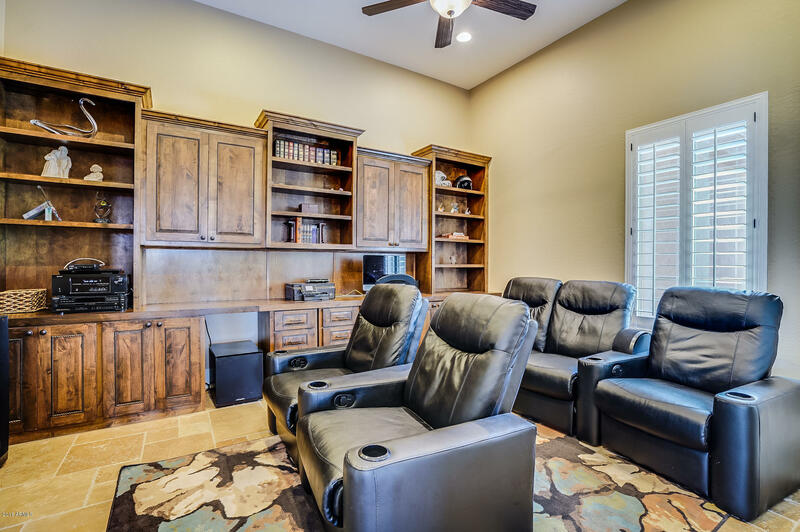 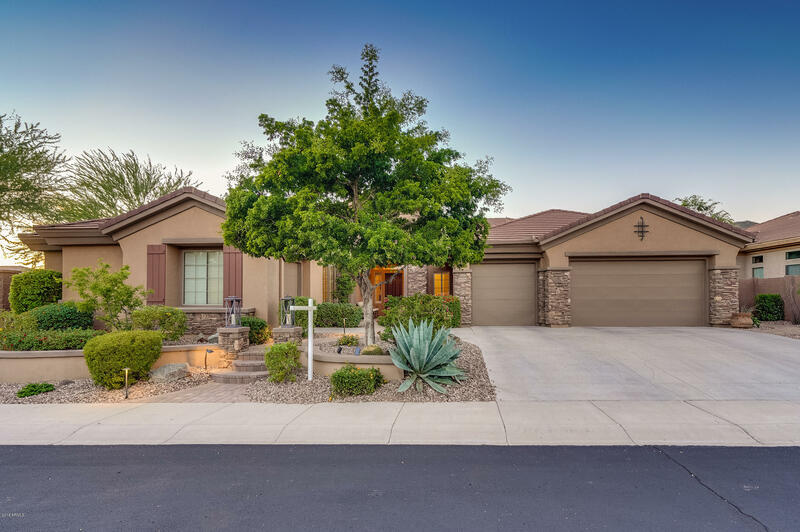 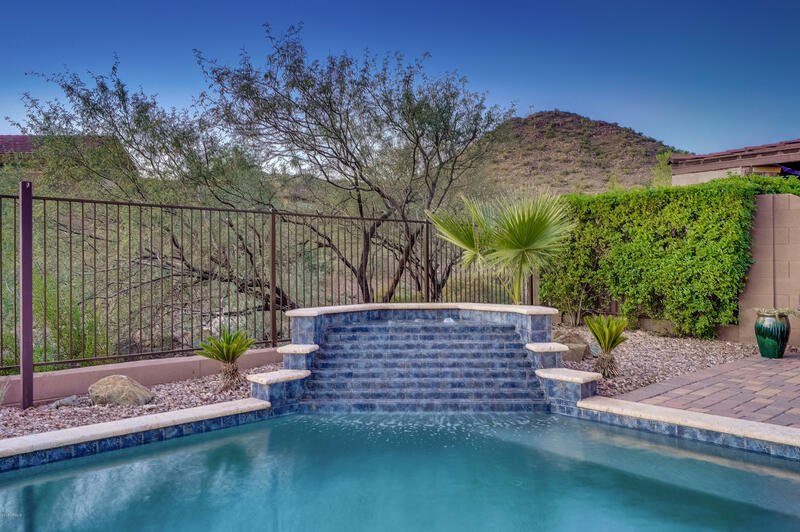 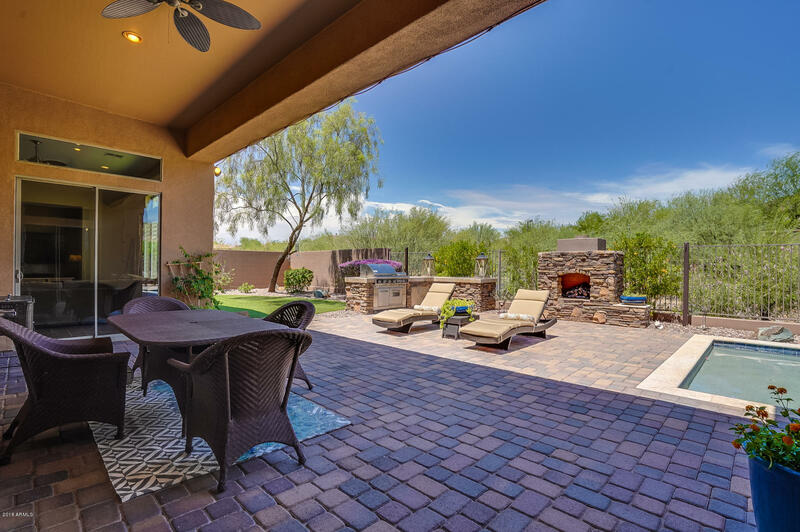 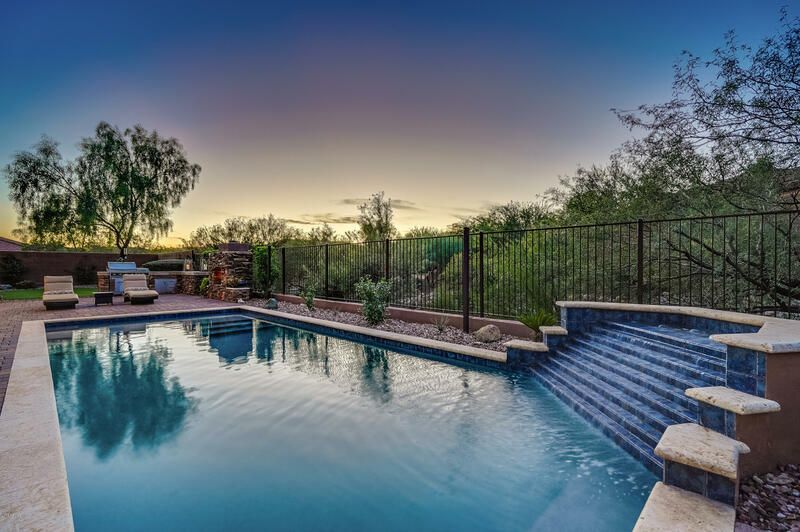 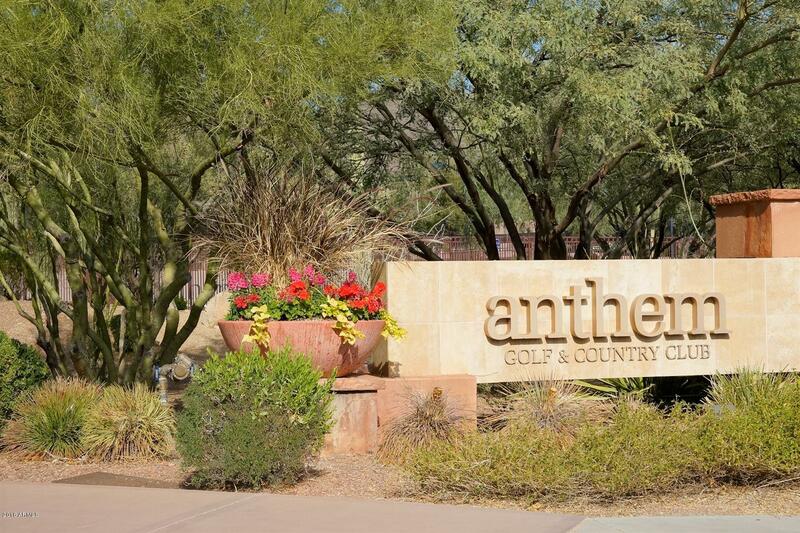 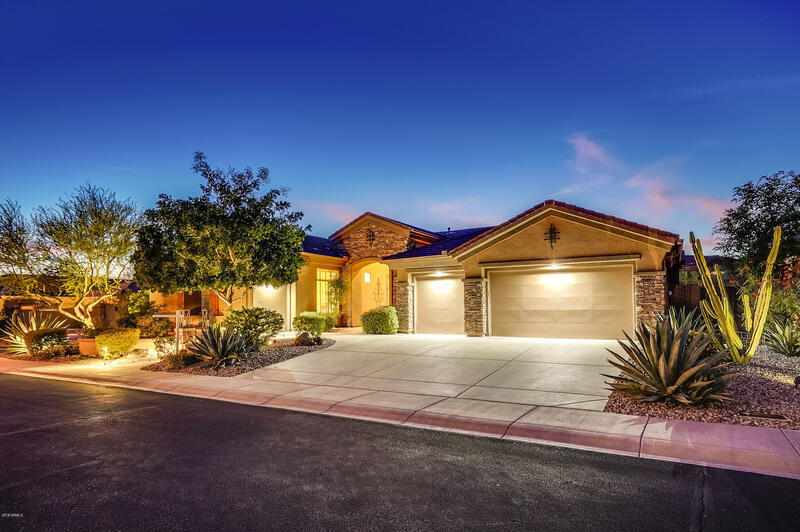 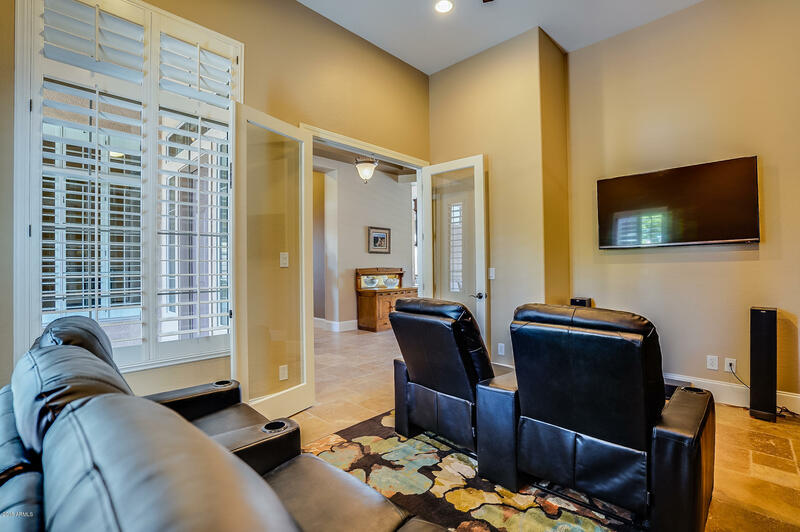 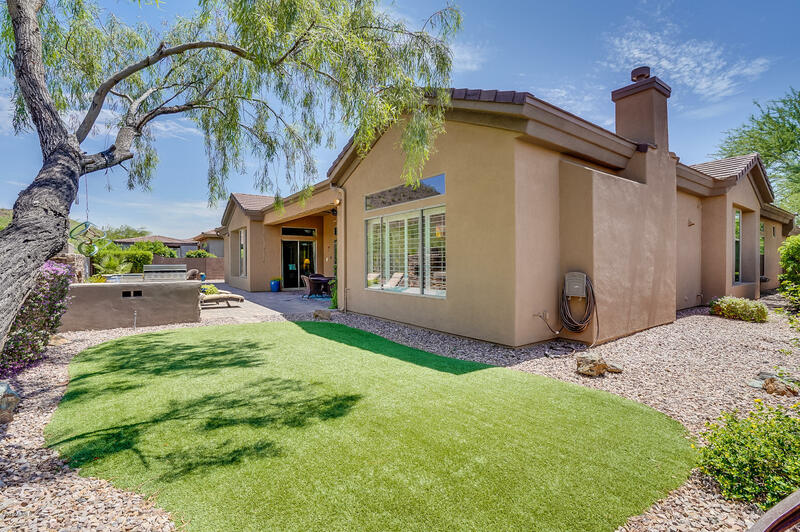 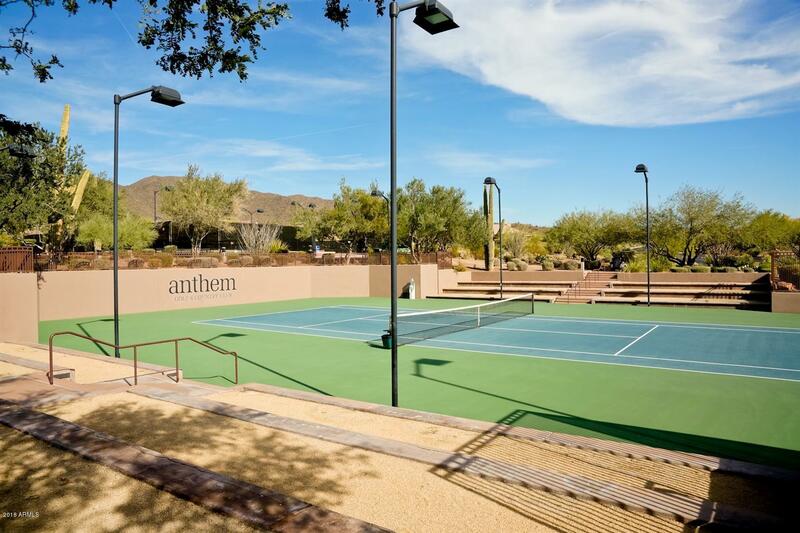 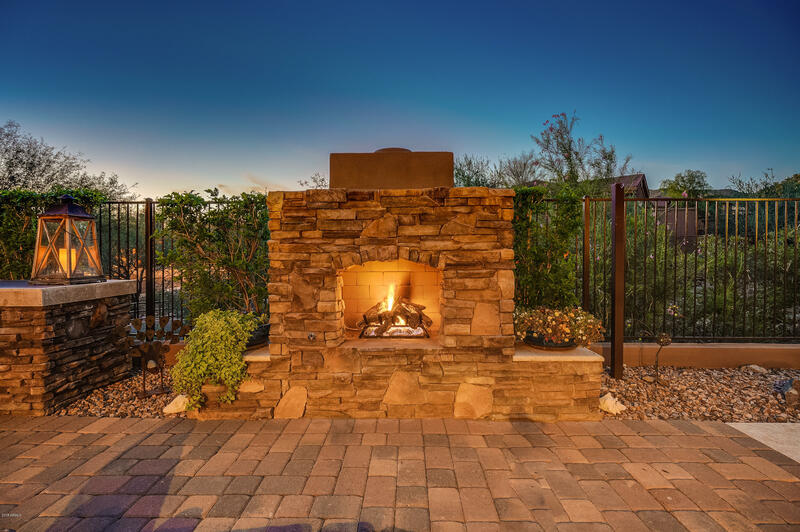 Situated on a corner view lot that features beautiful wash & mountain views, a sparkling pool w/ water feature, built-in BBQ, gas fireplace, synthetic grass & custom pavered patios. 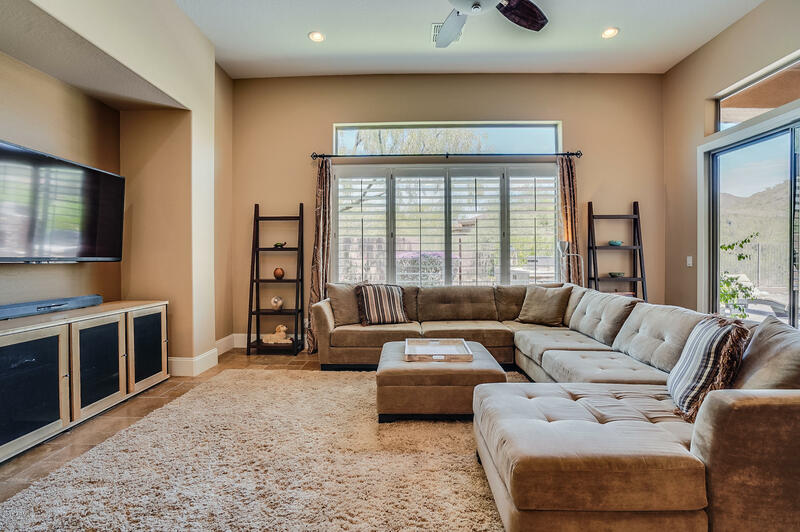 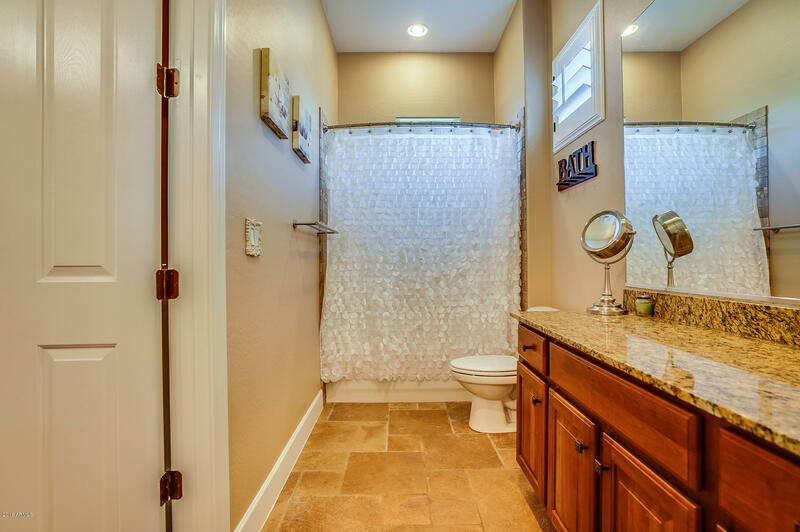 Inside you'll find it wonderfully done w/ a neutral pallete & upgrades galore. 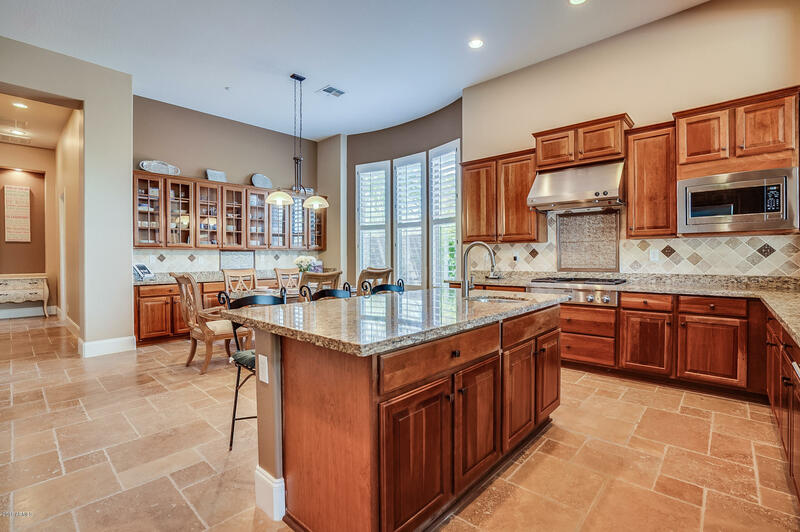 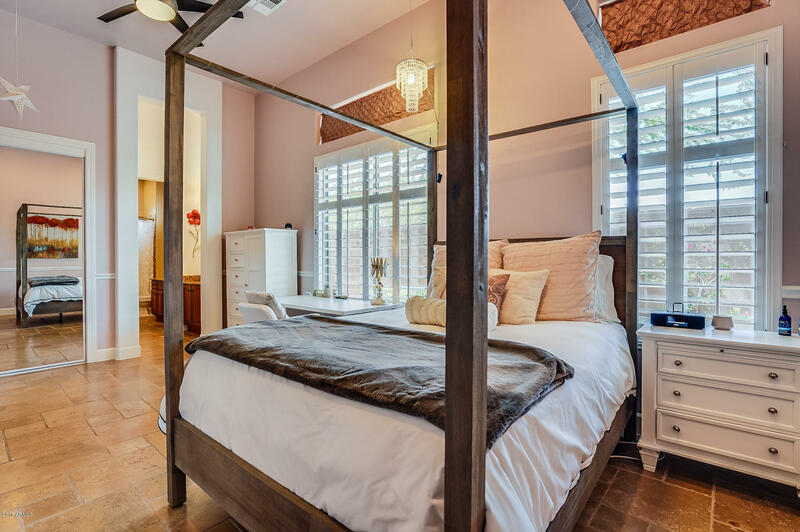 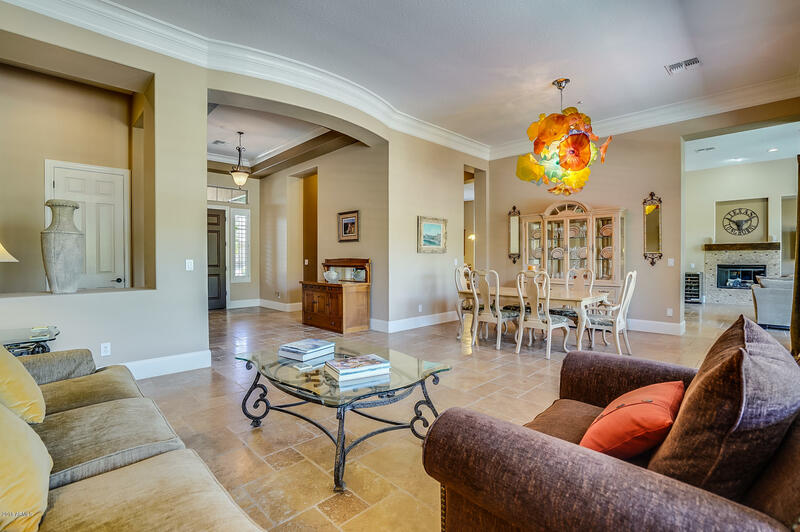 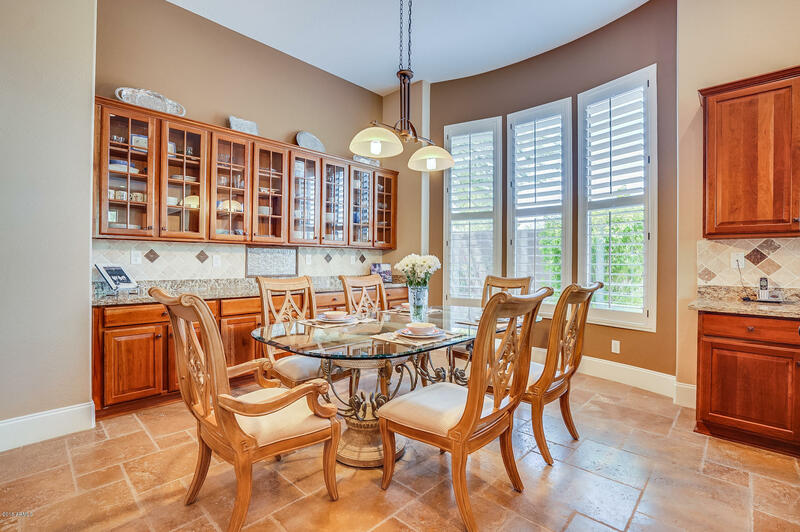 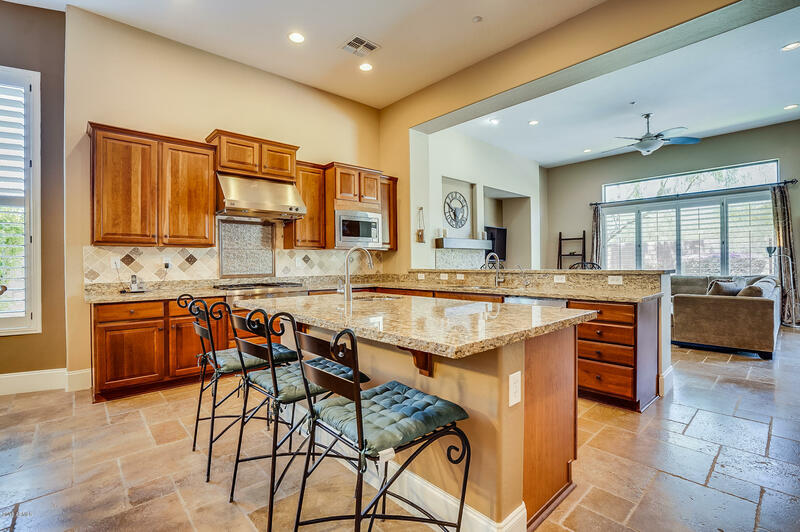 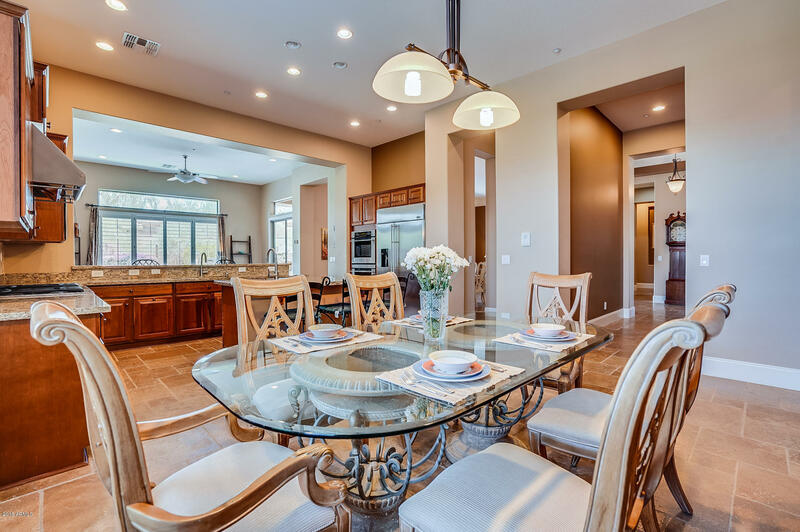 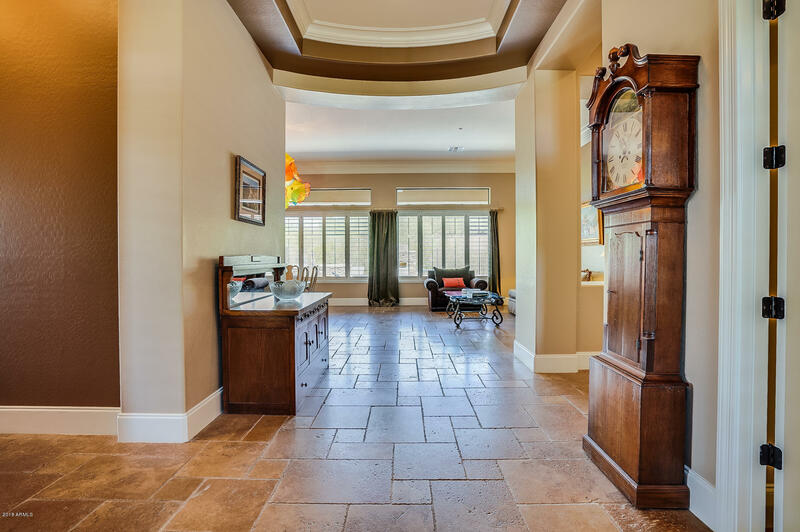 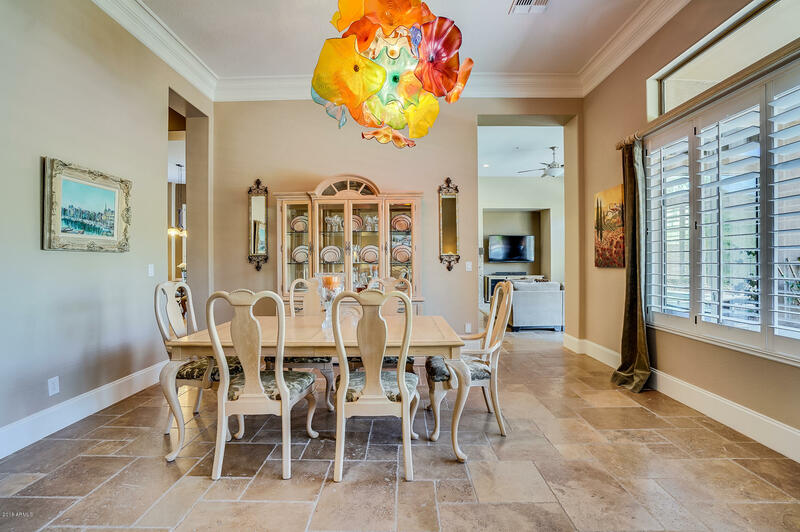 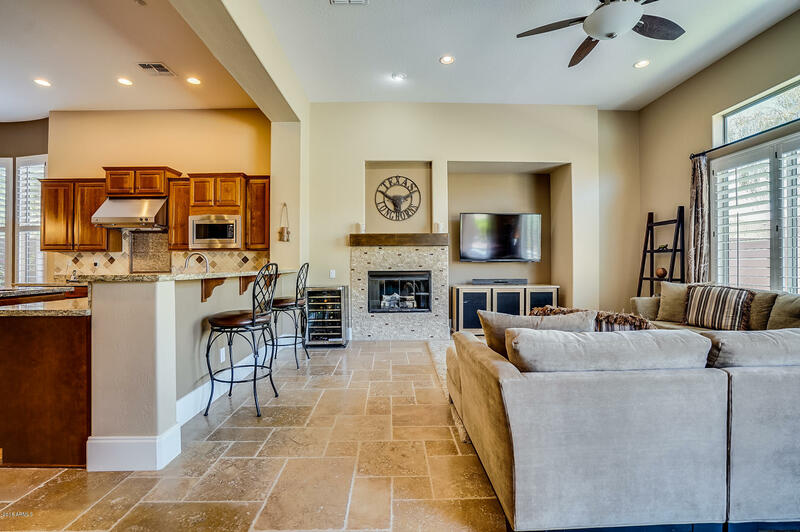 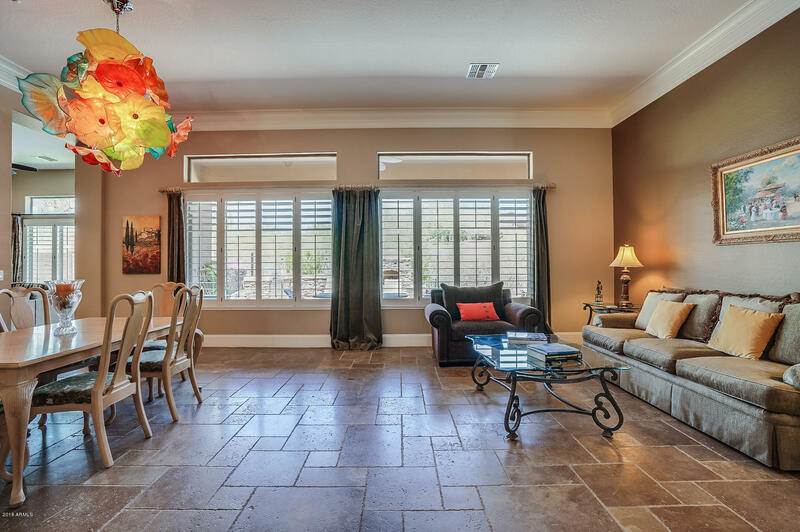 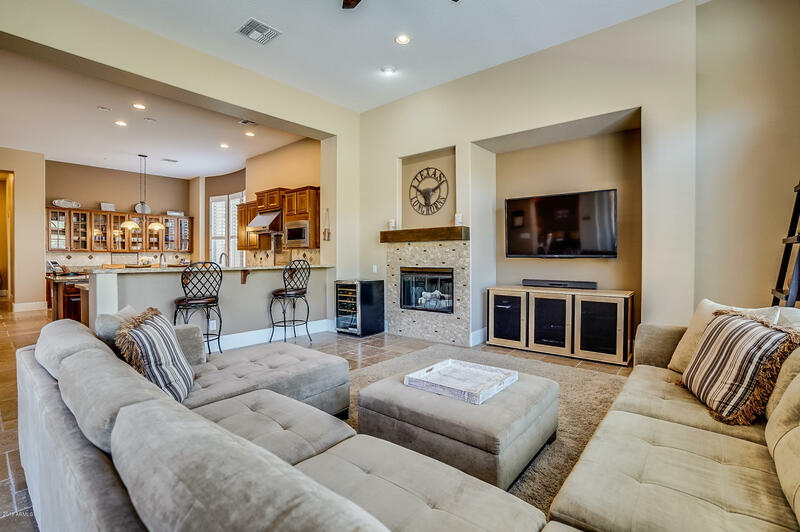 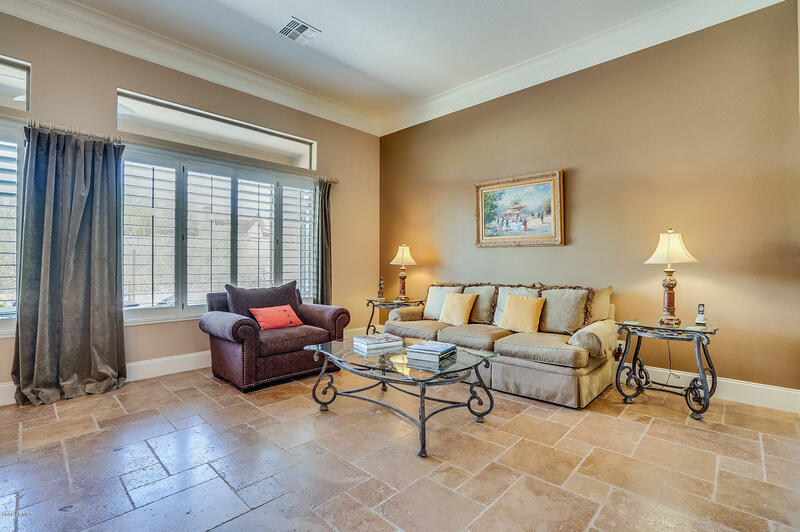 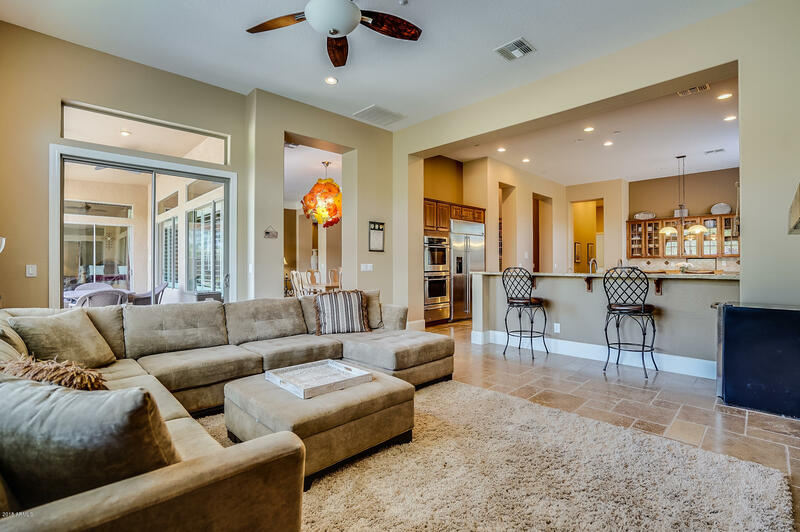 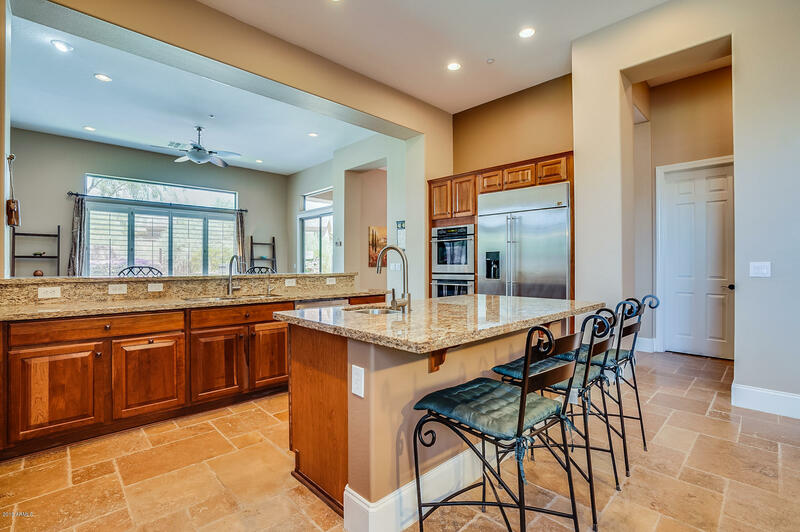 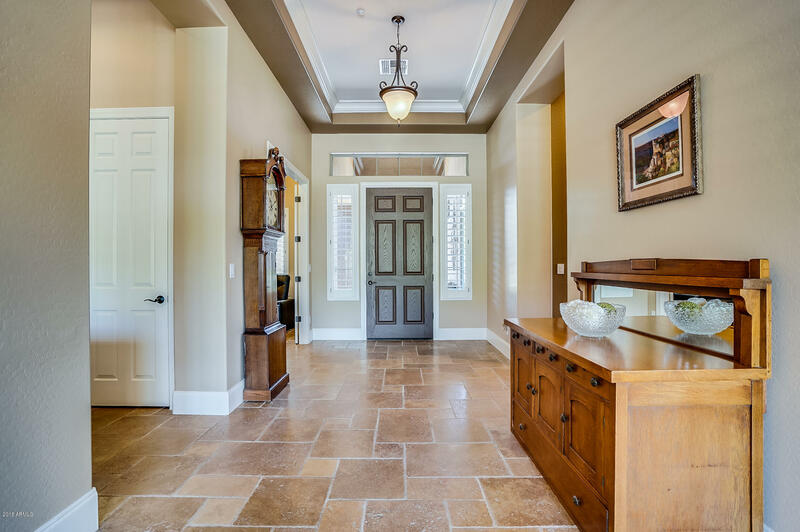 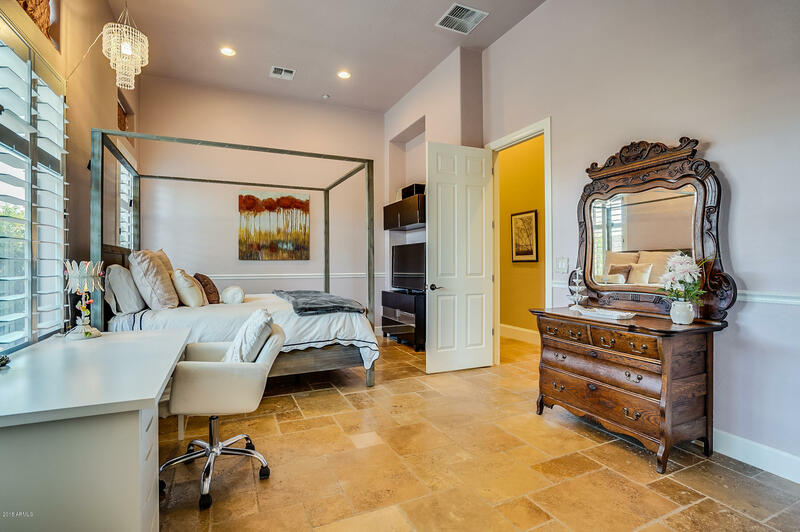 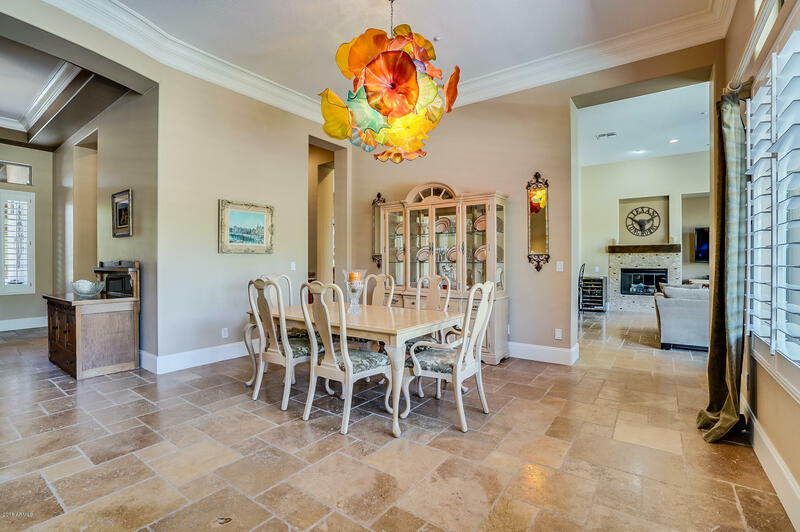 This 5 BR + Den w/ 4.5 BA home has soaring 12 ft ceilings, tumbled travertine floors & plantation shutters throughout, granite slab counters in all bathrooms, crown molding & raised baseboards. 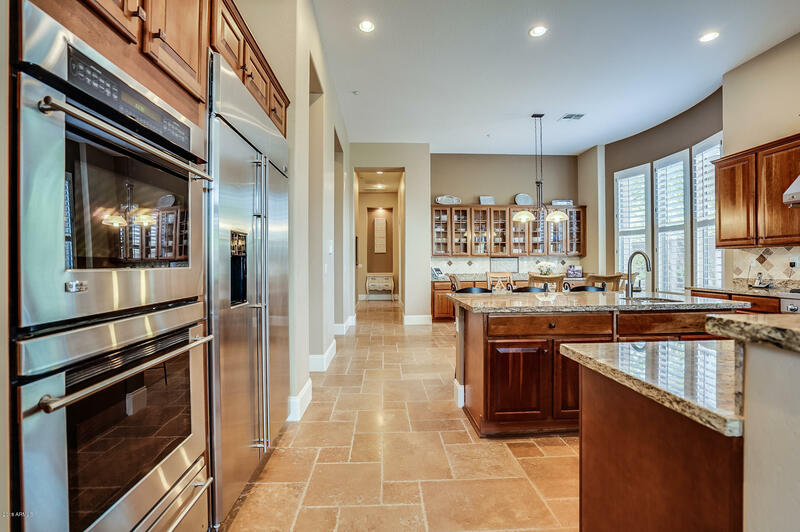 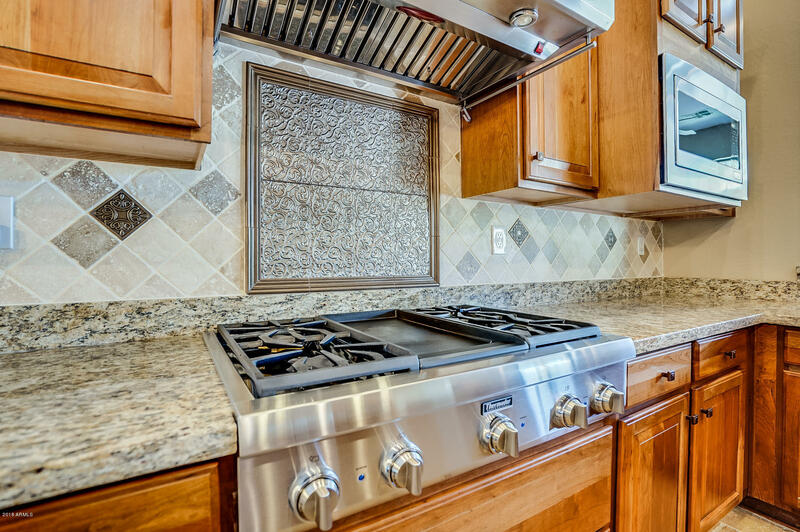 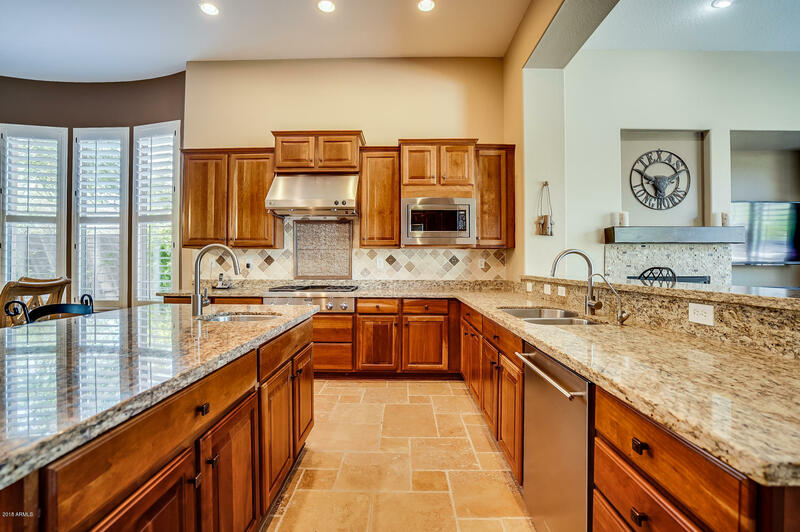 Gourmet kitchen features GE Monogram SS appliances, dbl ovens, custom tile backsplash, chiseled edge granite counters & 2 sinks. 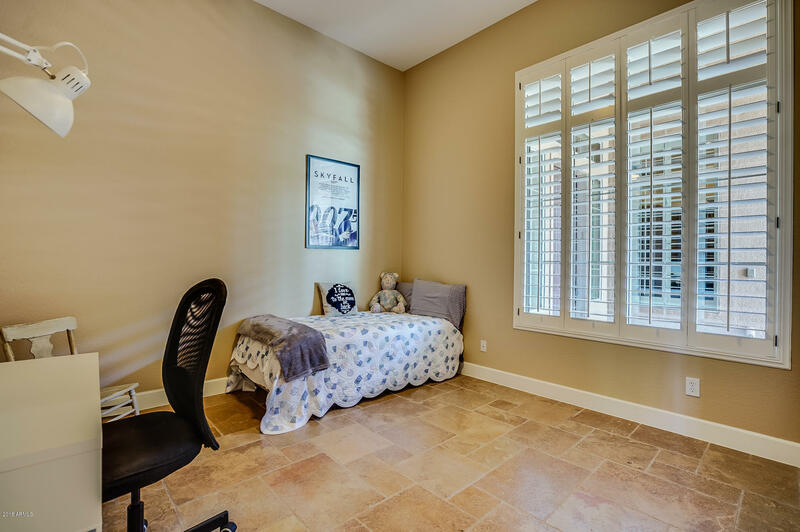 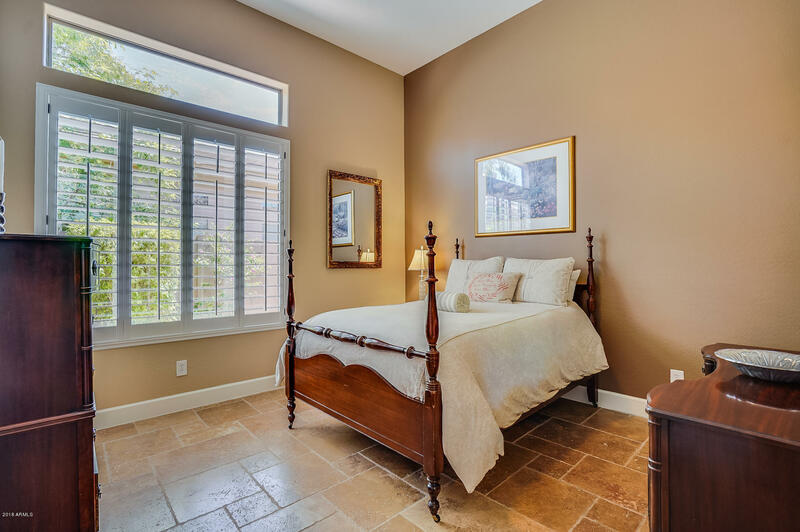 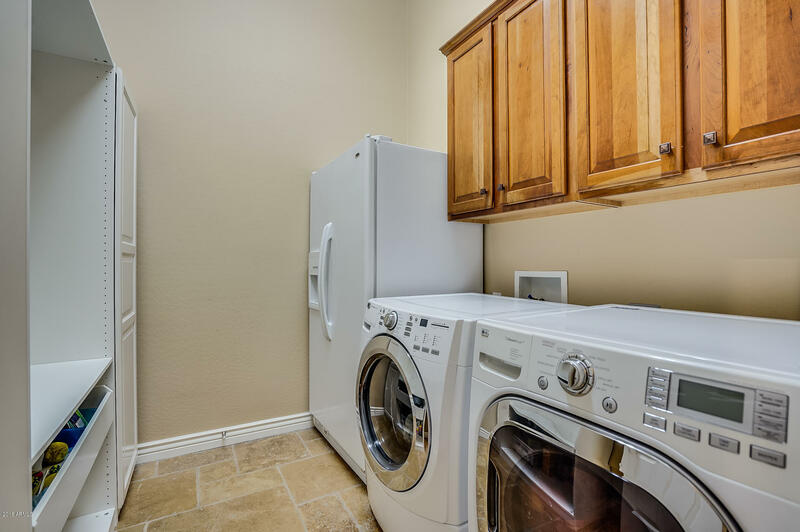 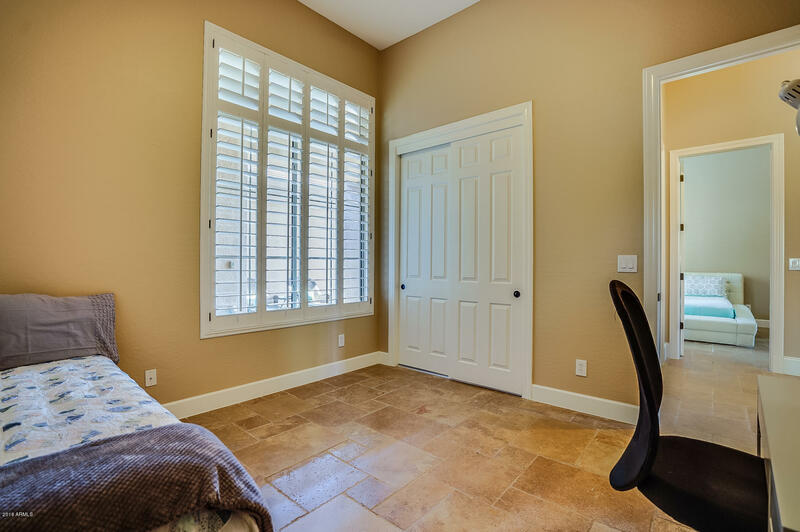 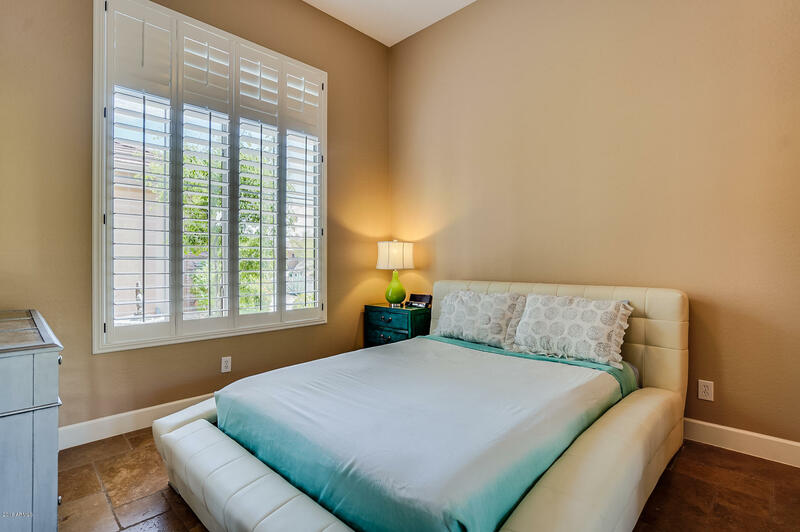 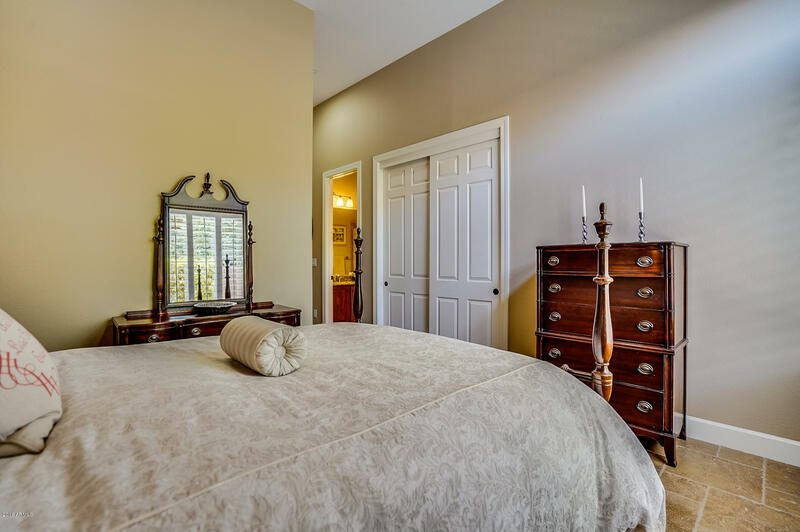 Spacious master suite w/ private access to backyard. 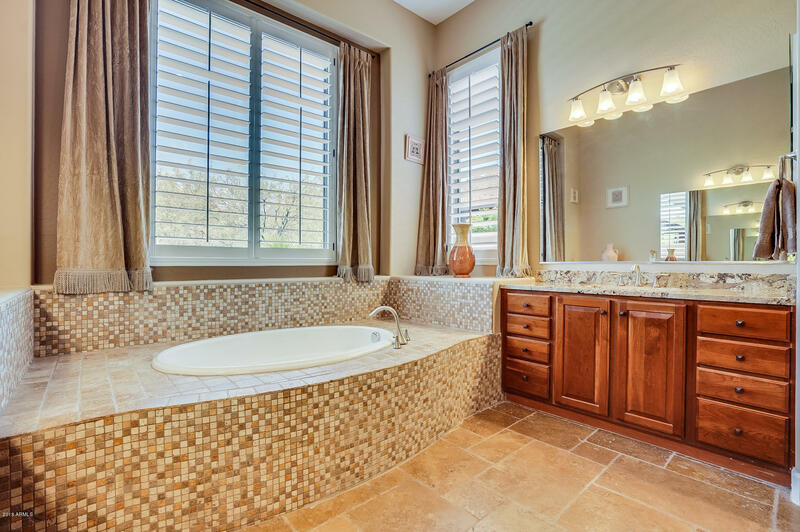 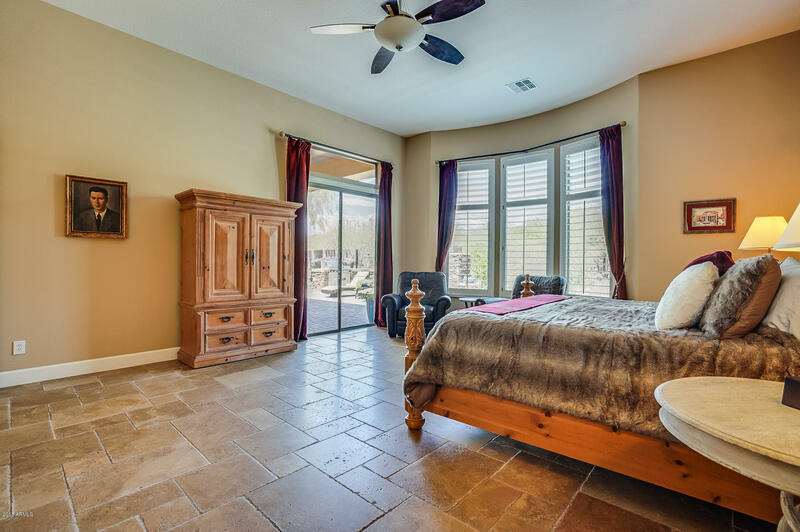 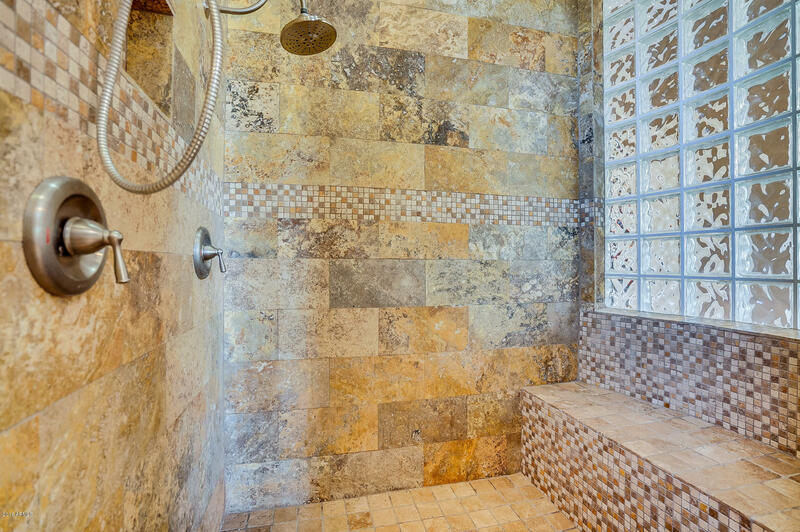 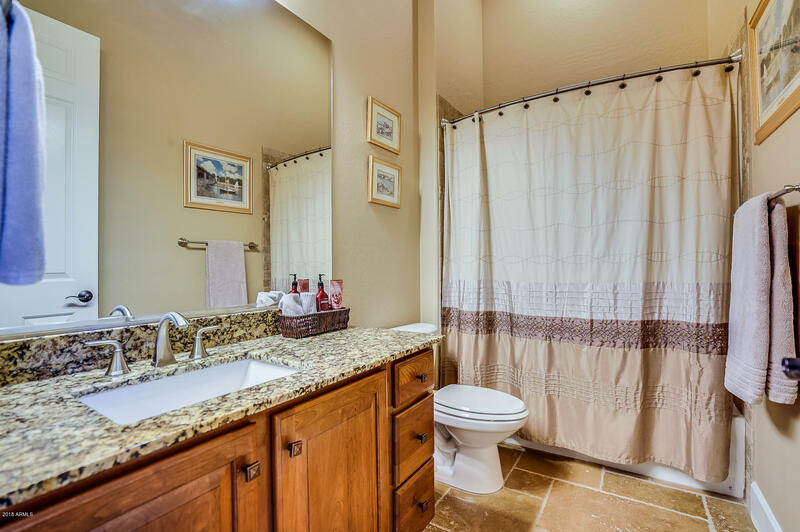 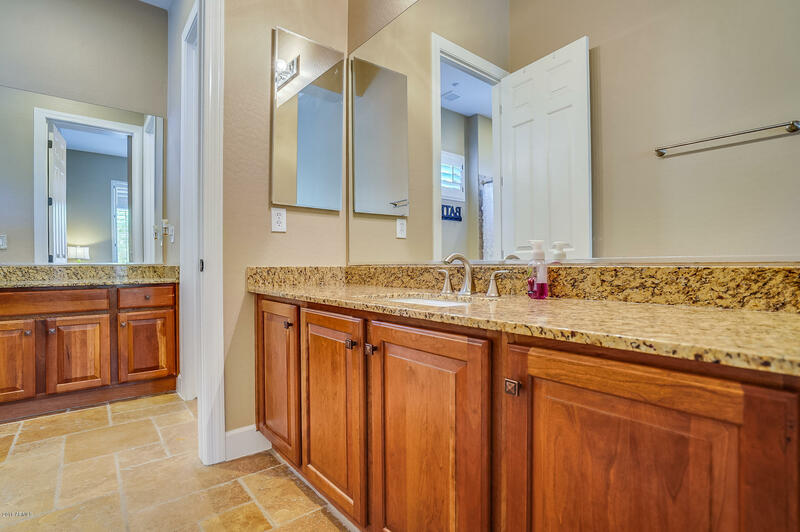 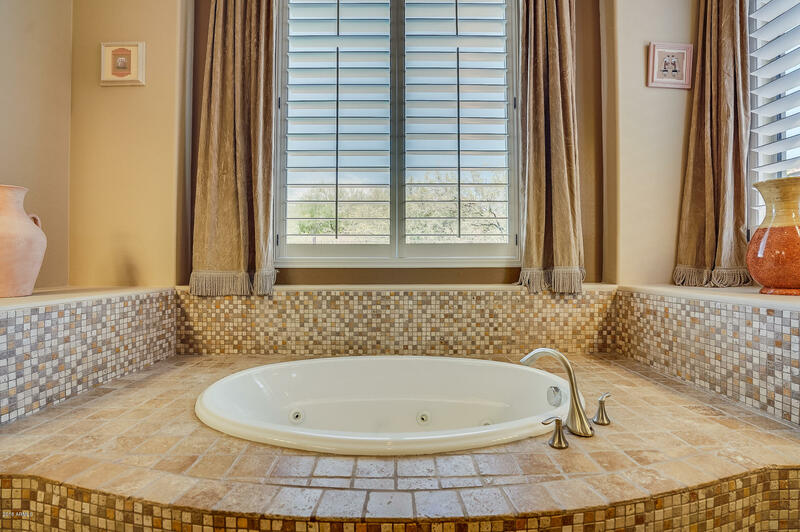 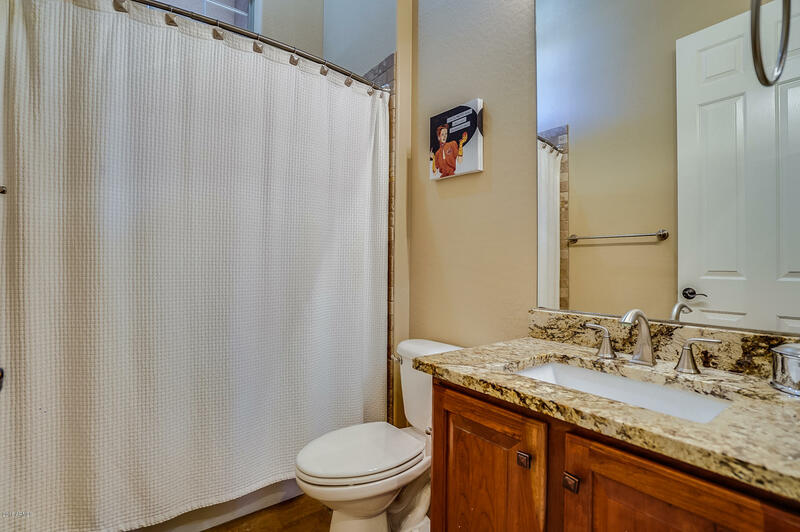 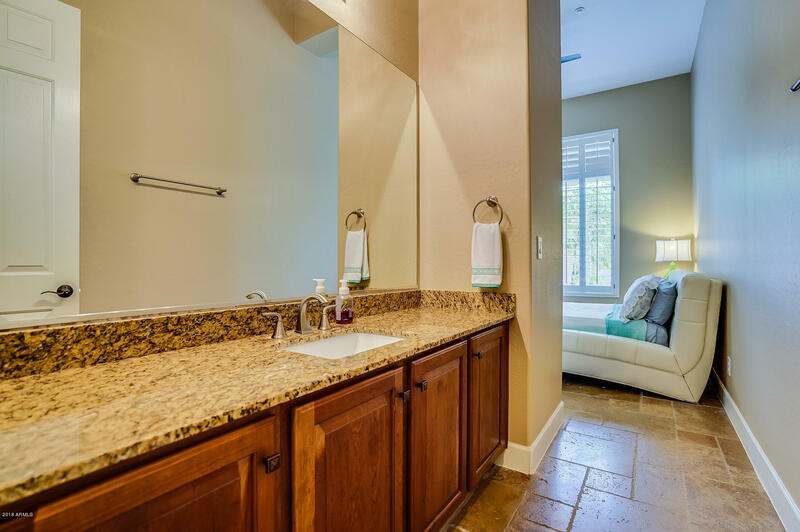 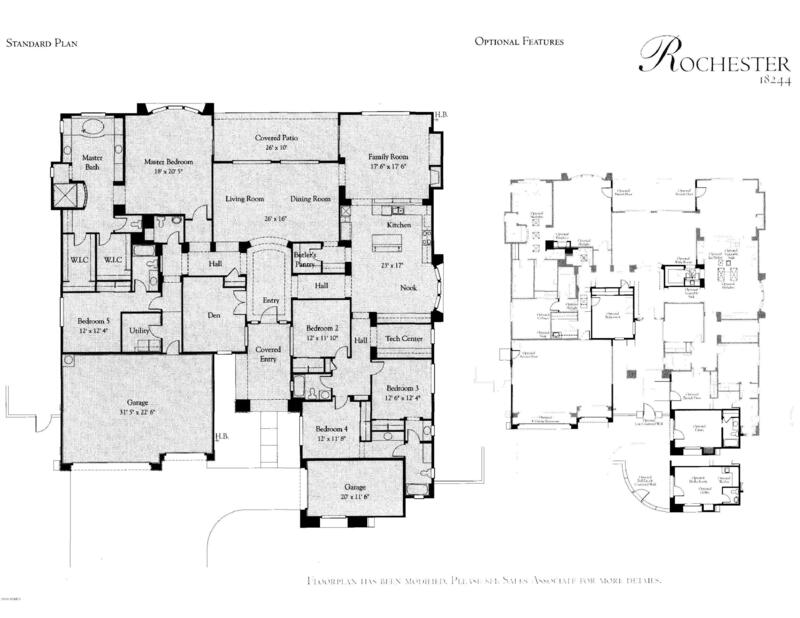 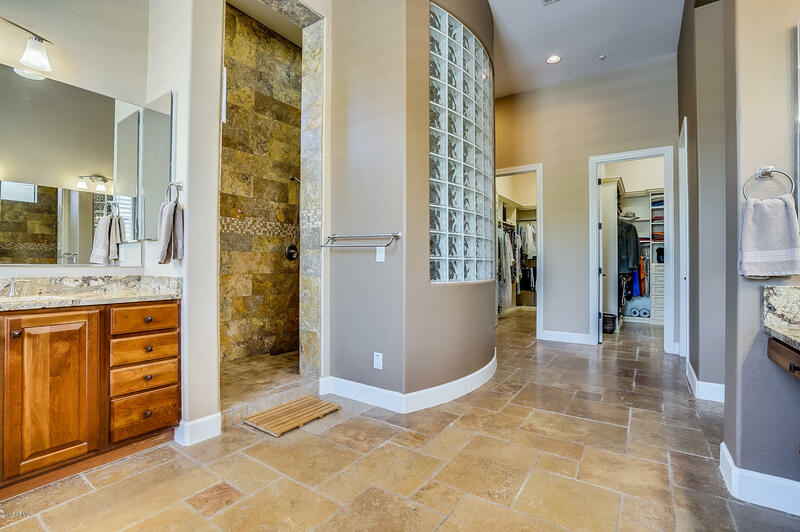 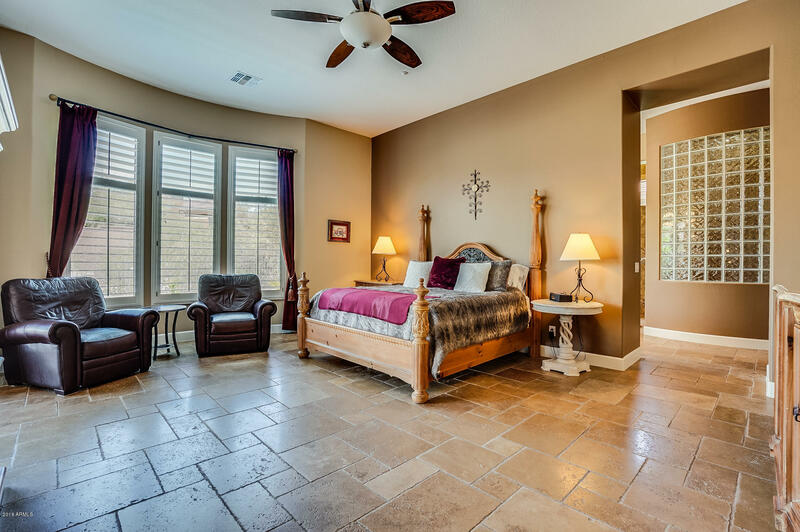 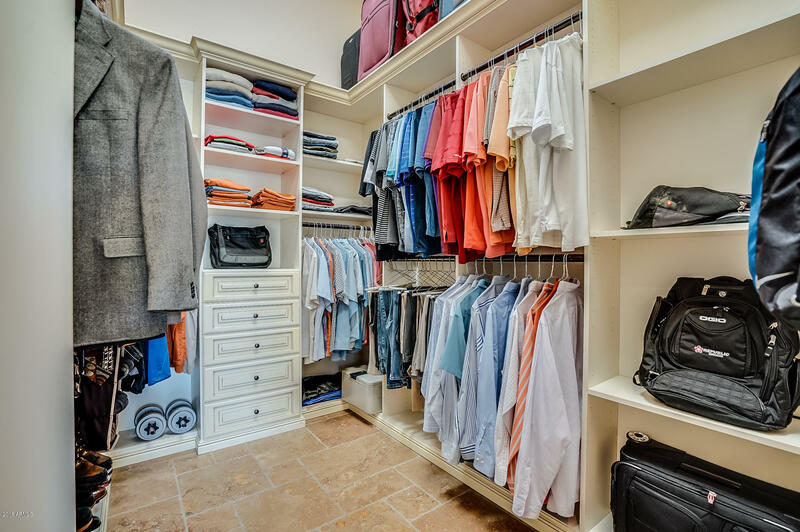 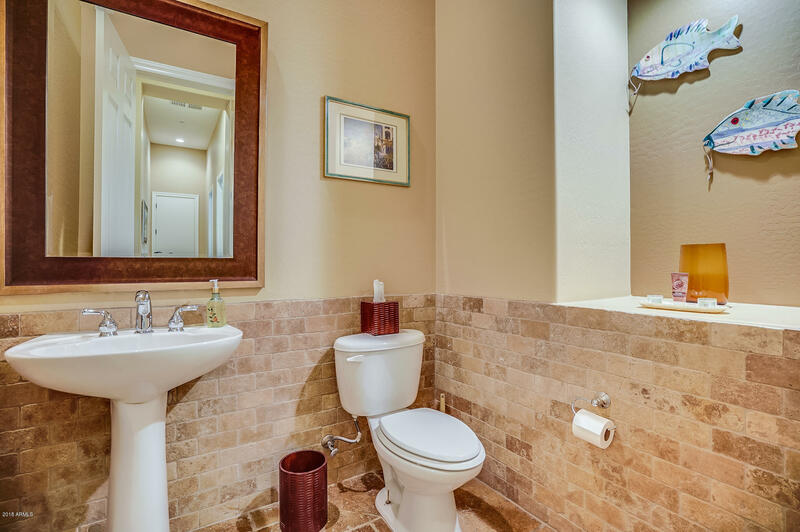 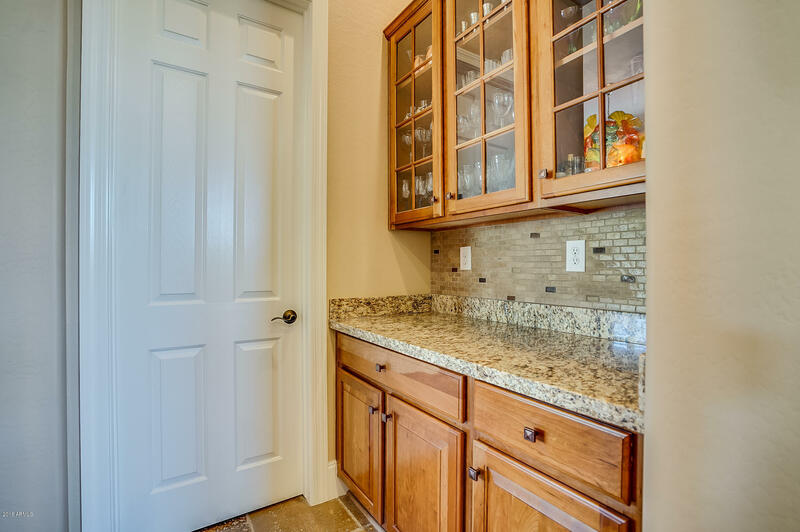 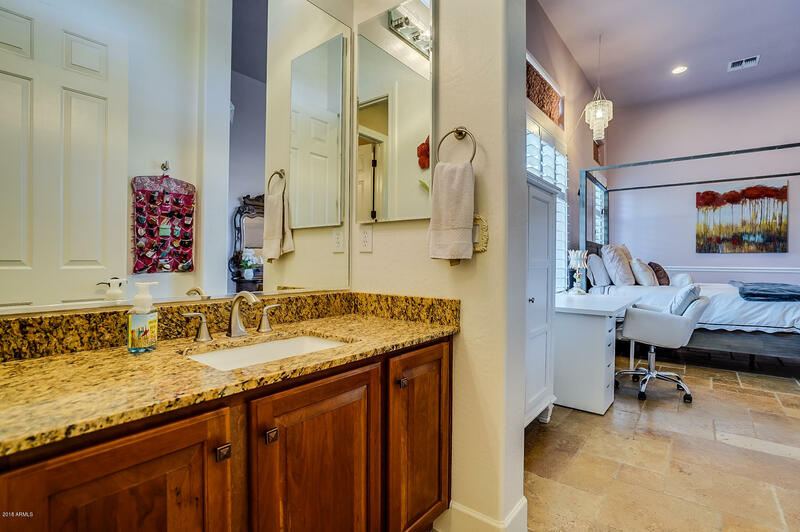 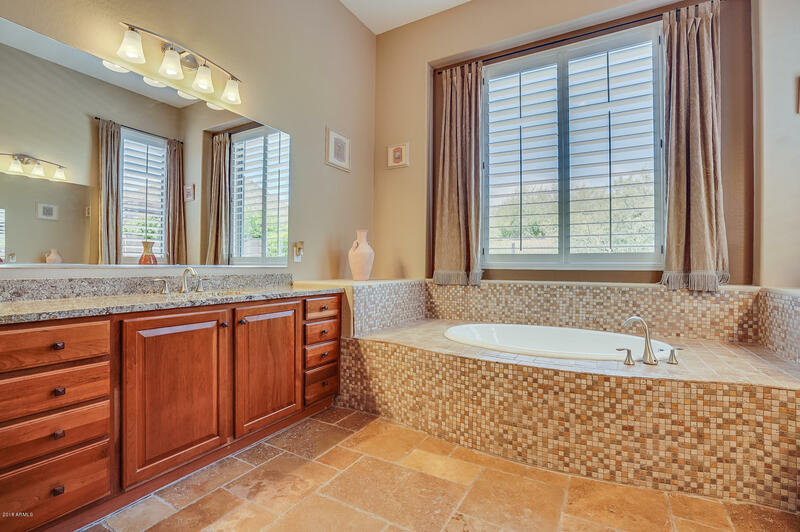 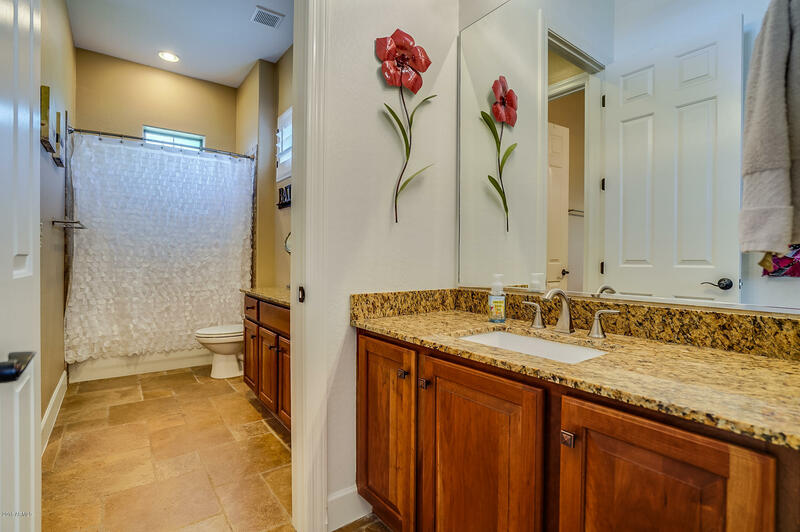 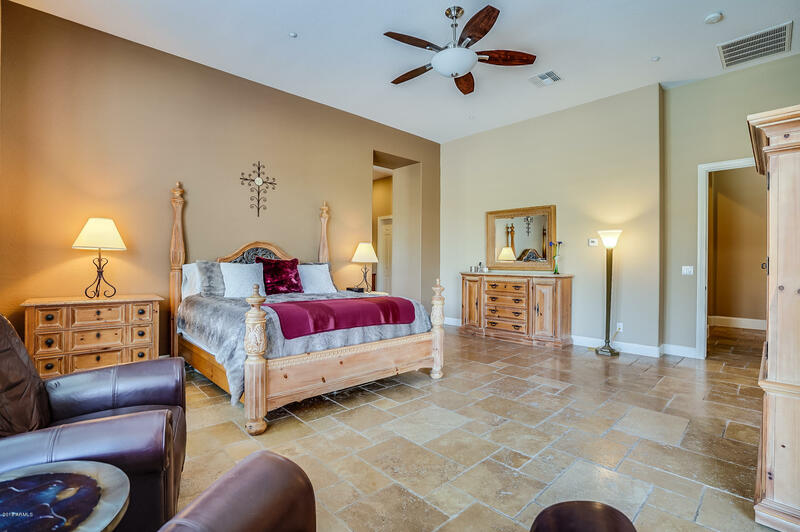 Luxurious master bathroom w/ dual shower & his/her custom walk-in closets. 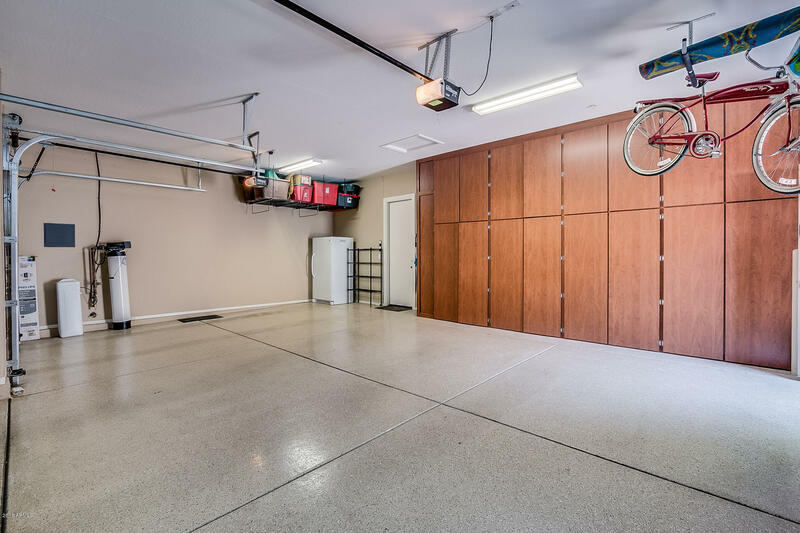 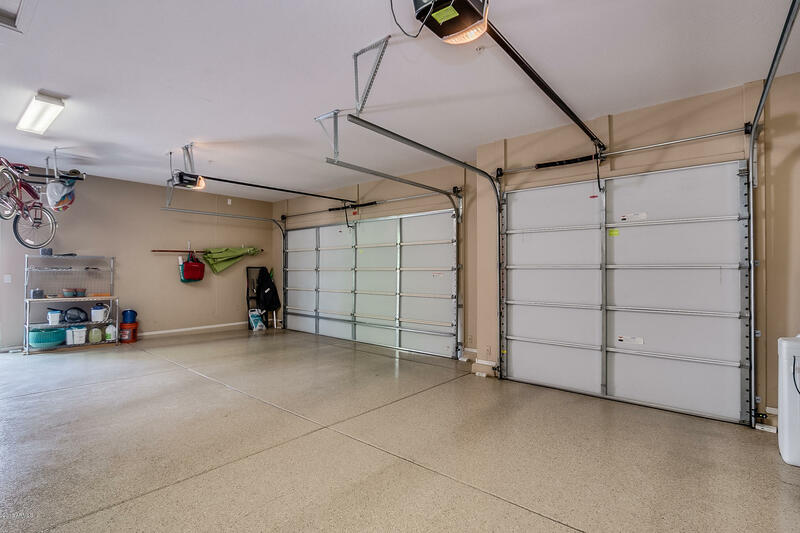 4 car garage w/ epoxy floors.